When you need a Limousine in New Jersey or the greater parts of New Jersey, Connecticut or Pennsylvania, Daisy Executive Limousine is your one-stop shop. From airport services to family transports to formal events, we have a limo in New Jersey or another city to meet your exact needs. We strive to exceed your every expectation and to always go above and beyond to meet your transportation needs. From the time that we pick up you up until you are safely delivered at your destination, we strive to make your experience comfortable, pleasant and safe. Do you need a limo service in New Jersey? Our New Jersey Limo service can pick you up from your location and take you to Newark, LaGuardia, John F. Kennedy international or any airport or destination. One of the major features of The Daisy’s New Jersey Limo Service is being on time. Our priority is to help the passengers to reach their destinations on time. We realize the value of your precious time and are ready to arrange the vehicle as per that. You will always find our chauffeurs waiting to pick up you and drop you at your desired place on time. You don’t have to wait for us rather you will discover that we are waiting for you. Our company offers you a wide range of vehicles like the Stretch Limousine 10 Passenger so that you can make your own choice. All our vehicles are of latest models equipped with all modern facilities that you are looking for. We carefully selected them for our esteemed clients and regularly maintain them to ensure absolute comfort for you. It’s a fact that passengers like reliable and efficient chauffeurs. Generally, they want to have experienced drivers in chauffeurs that they are visiting for the first time and roads and streets are absolutely unknown to them. Basically, they want someone who can take them through the crowded streets of an unknown place. If you are one of them then don’t worry. Our well-trained chauffeurs will accompany you all the way to your desired destination. What all you have to do is just sit and feel the pleasure of traveling with us. We have been arranging limousine services in New Jersey and special limo services for business travelers for five years. The Daisy’s New Jersey Limo Service understands that business travelers are very fond of their privacy and safety. We ensure that too and serve them as per their choice. Corporate travelers who visit the city for business purpose require some additional services like regular pickups and drops. 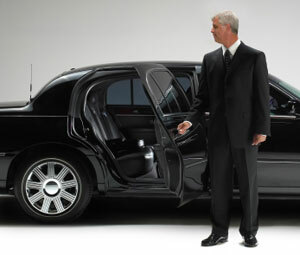 Daisy’s New Jersey limousine service is a leader which provides executive style VIP service around the New Jersey area. Whether it’s dedicated limo service to a corporate event or a prompt airport limo chauffeur meet & greet, Daisy’s New Jersey Limo Service will exceed your expectations. Daisy’s New Jersey Limo Service sets the standard for limousine service in New Jersey. In an industry overrun with unlicensed chauffeurs and older cars past their prime, Daisy’s New Jersey Limo Service has established a reputation for superior quality and service. We have earned the reputation of a perfect, timely and reliable limousine service provider in New Jersey. Our specialized limousine service in the city is the mark of comfort and class. This blend of professionalism and at home service reflects our thirst for excellence. The Daisy’s New Jersey Limo Service is your only destination if you are looking for a luxurious and comfortable journey in New Jersey. Our world class limo service has outdone all other similar service providers in New Jersey. We provide executive limo service at the Newark Airport (EWR), Teterboro Airport (TEB) and Morristown Municipal Airport (MMU). We offer you quality professional and exclusively private service that you have never experienced before. We also serve business travelers. I am sure our association will change your whole idea about availing professional limo service in any big city. When you choose Daisy Limo as your New Jersey limo service, you can expect nothing less than premier quality. Our pledge to you as a customer is to provide you with more than professional limousine transportation; we want you to experience the professional service of a trusted chauffeur. It is our goal to build an enduring relationship with you through top notch VIP Service. While we specialize in limousines in New Jersey and the surrounding area, we actually have many different vehicles to choose from depending on your needs. Our Lincoln Sedans will suit the business traveler. With tinted windows and leather seats, you can travel to your destination in comfort, safety, and style while continuing to work from the backseat. For large families or groups traveling longer distances, our Ford Club Van seats eight and is both practical and affordable. Anyone that wants a little extra storage room will appreciate our GMC Yukon. Ideal for families traveling with a lot of luggage, this vehicle can get you where you want to be safely and comfortably. For the ultimate in a limo in New Jersey, we offer an extensive fleet of limos that seat 10 and which are comfortably appointed with all the luxuries those accustomed to traveling via limo expect to receive. Daisy’s New Jersey Limo Service proudly serves the greater areas of New Jersey, New York, Connecticut and Pennsylvania. Regardless of where you need to travel or the type of vehicle you require, we’ve got you covered. From business trips to special occasions, we promise to make your transportation safe, comfortable and memorable. Contact us today for a free estimate and to find out more about our extensive fleet of vehicles for hire. We serve our clients 24×7 but the quality of our service never declines. Our day in and day out service not only suits general passengers but also business travelers who like to travel fast but in absolute comfort. So come and experience the best journey in New Jersey.